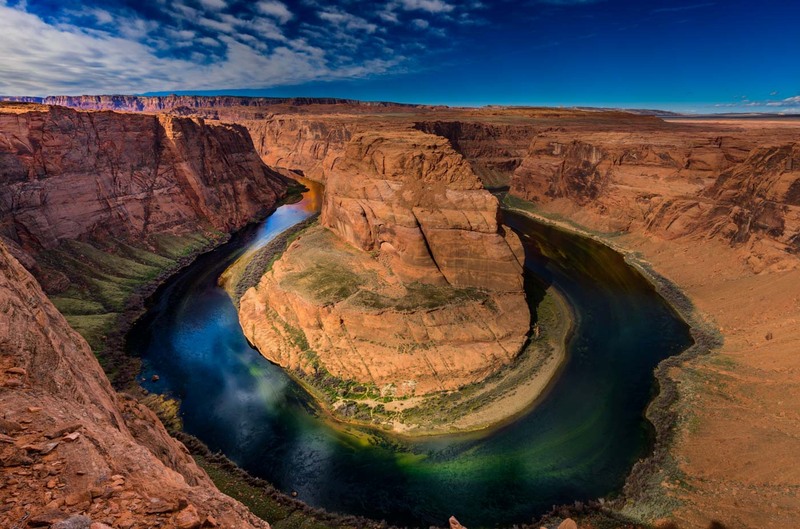 The much photographed Horseshoe Bend on the Colorado River. Competition for space is intense, as is the intimating cliff (no guard rail) that you need to lean over in order to capture the full bend of the river in the frame. I used a wide angle lens to capture this mage after elbowing my way the edge of the cliff. Just prior to my arrival several tourist buses had deposited a hundred or so people making for a crowded experience. I highly suggest timing your visit to avoid such an experience. It is well worth the effort! Unfortunately I was just passing through and unable to time my visit to be there for morning or evening light, but I included the image due to its iconic nature. Nikon D800, 14-24mm, F9, 1/200 sec, ISO 100.